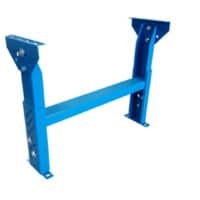 Stationary conveyor legs (floor supports) are often used for more permanent installations. Bolt stationary supports to the floor for secure support. Ultimation’s floor supports are available in a wide range of widths and heights. Each style offers adjustable height ranges.